Jesse Campbell is about as far from Walter White as you can get. Breaking Bad's cancer-surviving chemistry teacher quit his job to become the Southwest's biggest meth dealer. Jesse Campbell is a heart-attack survivor and former biology teacher, who left Myers Park High to make a business of his gift for growing exotic orchids and bonsai trees. 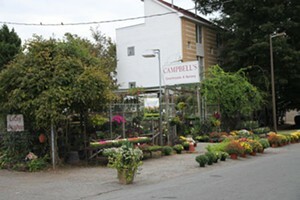 Campbell's Greenhouse just celebrated 30 years in July. The sunny South End institution is loved by green thumbers and reformed plant killers alike for its gorgeous selection and Jesse's patient, detailed advice. You won't find this level of care and expertise at a big box home and gardening store.